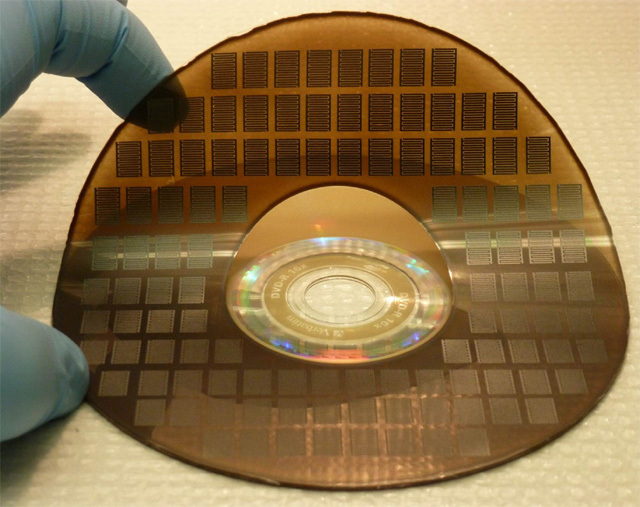 Scientists have created a powerful micro-supercapacitor , just nanometres thick, that could open up the possibility for wearable and flexible electronics. The tiny power supply measures less than half a centimeter across and is made from a flexible material , to help develop lighter, smaller and thinner, mobile phones and cameras. A bottleneck in making portable electronic devices like mobile phones even smaller is reducing the size and increasing the flexibility of the power supplies in electronic circuits, researchers said. Super-capacitors are attractive power supplies because they can store almost as much energy as a battery, with the advantage of high speed energy discharge. Dresden examined the use of manganese dioxide as an alternative electrode material , which is more environmentally friendly and less expensive than the standard materials. Tests on the new micro super capacitor showed that the tiny, bendy power supply can store more energy and provide more power per unit volume than state-of the-art super capacitors, experts said. British scientists have developed a computer with a 'sense of humor' which generates its own witty one-liners . The machine, created by scientists at the University of Edinburgh, was programmed to exploit one of the most successful and popular components of comedy, where a statement is followed up with a surprising comment. However, some of the jokes the computer produces can be rather sexist, 'The Telegraph' reported. The computer software was designed to find unlikely pairings of words and to make a connection between them.